Add some summer flair to your conventional gin and tonic happy hour cocktail with this uber-refreshing Elderflower Gin and Tonic! I’m a firm proponent of the saying, “don’t mess with a good thing”. Why screw up something that’s already solid? 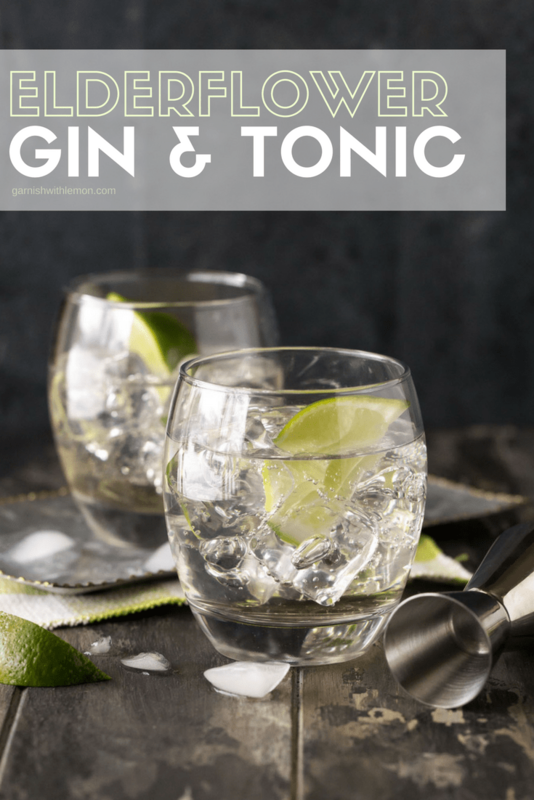 You might argue that a gin and tonic is practically perfect the way it is, but I challenge you to think outside the box just a bit and give this Elderflower Gin and Tonic recipe a try. It has all the traditional flavors that G&T lovers adore but adds a summery, refreshing twist with the addition of elderflower liqueur. Making a good gin and tonic isn’t rocket science, but I do find that everyone likes their cocktail a little bit different. 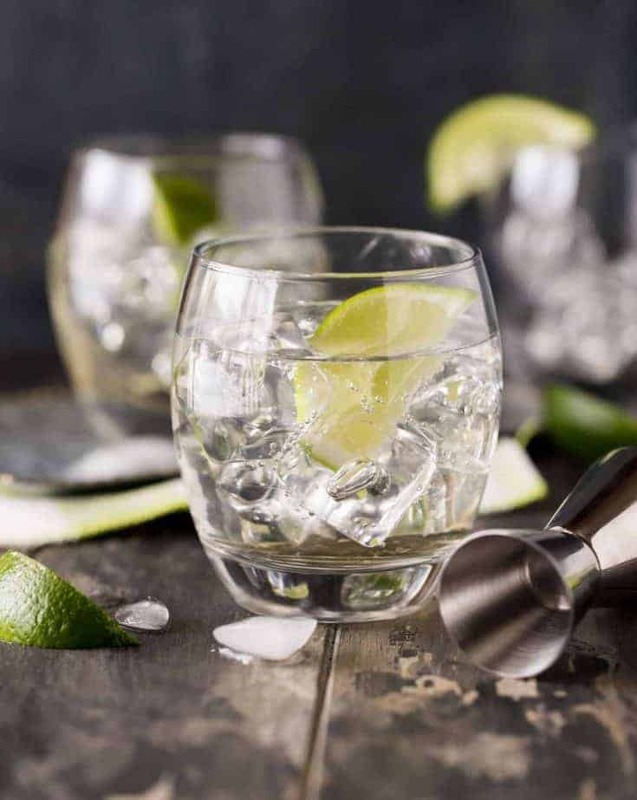 To make our Elderflower Gin and Tonic recipe, you need to start with the correct proportions of spirits: 2 parts gin for every one part elderflower liqueur. I’m pretty traditional when it comes to my G&T. 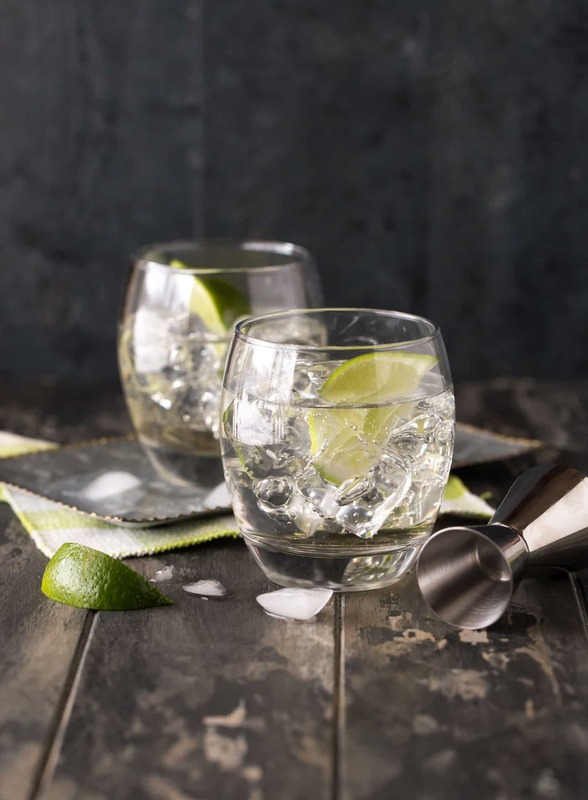 With this Elderflower Gin and Tonic recipe, I prefer a lowball glass with ice, lime, 2 parts gin, 1 part elderflower liqueur and topped with tonic. But l like I mentioned before, everyone has a different opinion on what makes the perfect gin and tonic. After you’ve got the ratio of spirits down, you can play with the rest of the ingredients. Love limes? Toss in a few wedges. Want a lighter cocktail? Pour the ingredients into a high ball glass and add a generous amount of tonic water. What are some other gin and elderflower cocktail recipes? Love the flavor combination in this Elderflower Gin and Tonic? Then don’t miss our uber-popular Gin, Elderflower and Prosecco Cocktail recipe! Craving more inspiration? We have an entire post dedicated to all things elderflower liqueur, including some of our favorite elderflower liqueur cocktail recipes. A must read! Fill a lowball glass with ice. Pour in gin and elderflower liqueur. Squeeze lime wedge into glass and top with tonic water. Stir and serve.